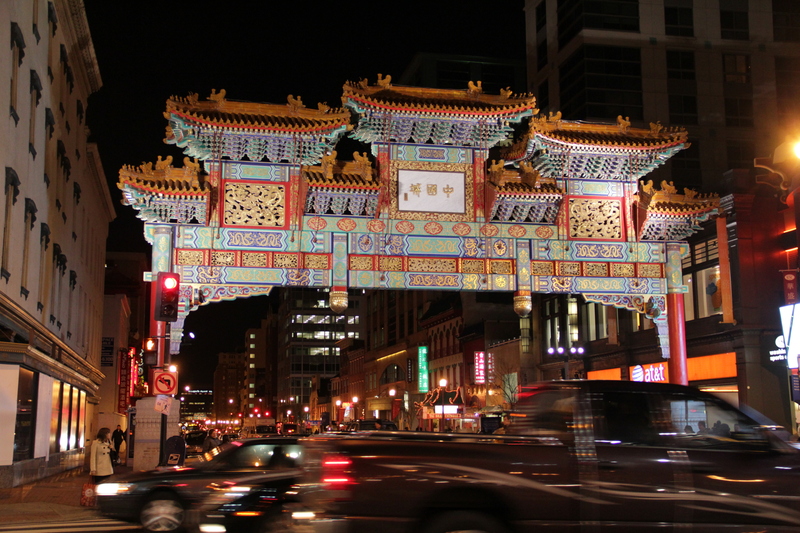 The archway was completed in the fall of 1986 as a symbol of friendship for sister cities and respective capitals Washington and Beijing, and was also an attempt to bolster D.C.’s vanishing Chinese neighborhood. It celebrated its first Chinese lunar new year a few months later – in the Year of the Rabbit. 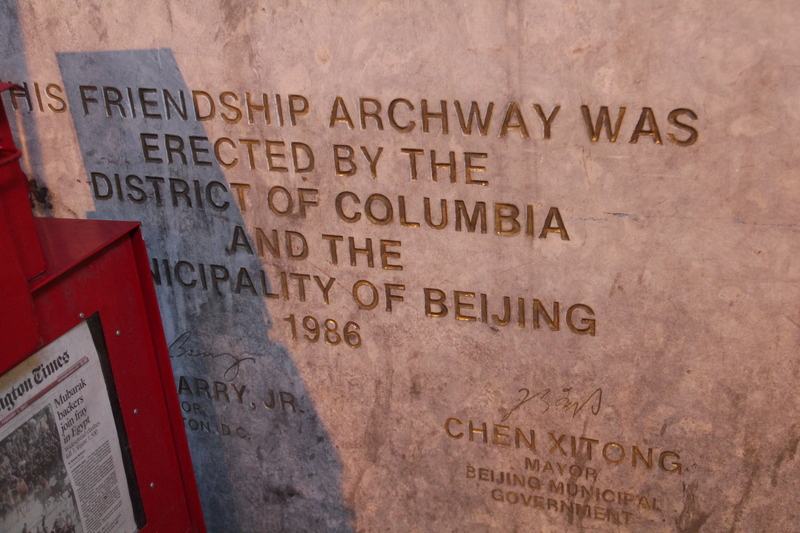 Ironically, the two mayors responsible for the memorial – and whose names are still inscribed there – were destined for later disgrace: Marion Barry for cronyism and an FBI sting involving crack cocaine, and Chen Xitong for embezzlement and the Tiananmen Massacre. Perhaps that’s why the engraving was partially hidden by a row of newspaper boxes. The inscription at the base of the Archway by two controversial mayors. The archway itself wasn’t without some controversy either, particulalry in the beginning. The idea came about from Mayor Barry’s trade mission to China in 1984, where it was agreed that the Chinese government would pay half of the $1 million price tag for the memorial. Barry hadn’t consulted the actual residents of Chinatown, most of whom claimed allegiance to the nationalist government in Taiwan. Some decried the building of a “communist archway” in their neighborhood, and planned a rival archway a few blocks away at 5th Street, which never came to pass. The Arch-gate controversy eventually subsided, and the memorial became a unifying aspect for the neighborhood, even though its grandiose design dwarfed the down-on-its heels surroundings. But just four years after it was installed, clay tiles and other pieces began falling off, including a 100-pound dragon head that hit a soda truck passing below. The D.C. Department of Public Works had all the ornamental pieces removed, until a team of engineers and classically-trained artisans could travel from Beijing in 1993 to fix them and apply a fresh coat of paint and gilding. In 2009, the archway was treated to another sprucing up by Alfred Liu, who restored ceramic pieces and rotted wood, and repainted its original bright colors. Today the Friendship Archway is looking great, and the buildings around it have grown to match its size and glitz. And while there is only a thin veneer of “Chineseness” to most of the new development, the archway is still a rallying point for the area’s Asian community – particularly around the annual lunar new year parade. Come back next week for photos of this year’s parade. If you’re in town, it takes place this Sunday from 2 – 5 p.m., on H Street NW between 6th and 8th Streets. 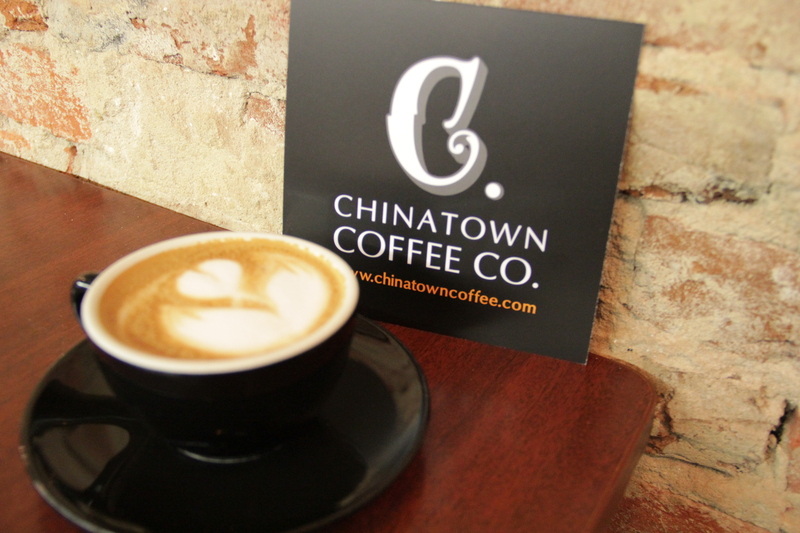 Check it out, and grab a latte from Chinatown Coffee Co. – or “The Crazy Rabbit” cocktail they’re offering on Sunday – I think either one will keep you warm. Ha! I’m actually saving that for the larger blog I write about the Chinatown neighborhood on Monday – rest assured that photo will make the cut!